The vast majority of real estate agents and other home experts will tell you that kitchens and bathrooms are the most important rooms in your home. When people are looking to buy a property these will be high on their list when they are inspecting your home. If your kitchen is looking a little tired then remodeling is the answer. Whether you are thinking of selling your home or not you always want to be proud of your kitchen. It is the most used room in your home, and if you have guests over then you want them to be impressed with how it looks. An inviting kitchen is where people will congregate – more so than a living room. Style and elegance are the two most important factors for kitchens. You can have a classic style or a modern style, and styles that are in between. When your kitchen is beautiful everybody will want to be in it, and working in it will be a joy instead of a chore. In the good old days it was common to see kitchens that were separate from the remainder of the home. This has changed over the years and today interior designers and other home specialists know that your kitchen really needs to be the “hub” of your home. When you are cooking a meal for the family it is a great experience if the kitchen is open and in full view to all family members. Being behind a wall just isn’t the thing these days, so it is best to open up your kitchen. Kitchens being the heart of a home need to be welcoming and warm, so integrating and expanding into areas that are adjacent makes a lot of sense. People spend a lot of time in their kitchens whatever their family circumstances. Do you have your dining table located in your kitchen? If so you could be spending as much as three hours each day in your kitchen. That’s a lot of time so you want to ensure that your kitchen is just how you want it to be. Does your kitchen work hard for you? Is your kitchen functionally optimized? Making kitchens more efficient will save time and effort when it comes to the preparation and cooking of meals. Do you have enough space in your kitchen or do people bump into each other while they are working in there? If your current kitchen layout isn’t working then you can change it with remodeling. Don’t let an existing kitchen layout make you think that you cannot create more space and make it more efficient. There are lots of things that create more space such as the installation of a second sink and a kitchen island. Technological advances in kitchen appliances are plain for all to see. You can now get an oven that cooks more efficiently and faster and the introduction of steam and convection technologies has been a revolution. Then there are induction cook tops that take cooking to a new level and now cookers are available that provide the benefits of both electric and gas. Then there are the latest dishwashers that wash your dishes better and more efficiently. You can also get French door fridges now that are easier to access. Do your bit for the environment and save money on utility bills at the same time. Most people want to be more energy efficient as the cost of electricity and gas continues to rise. You can get rid of your old appliances that burn too much energy and replace them with “green kitchen” appliances that will save energy costs and help the environment. 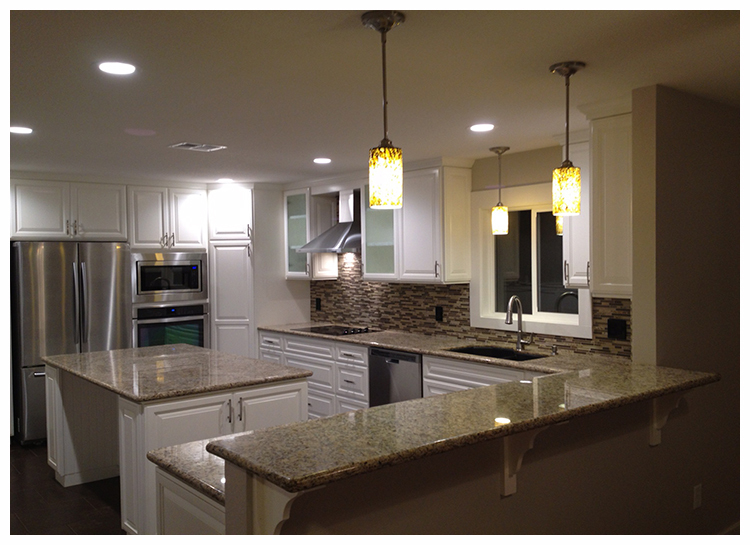 When people remodel their kitchens they add tremendous value to their homes. The style and elegance of your kitchen can literally mean the difference between selling your home and not selling it. If you have no plans to sell your home then you should still view kitchen remodeling as an investment. You are investing in the comfort and happiness of your family who will spend a lot of their time in your new kitchen.